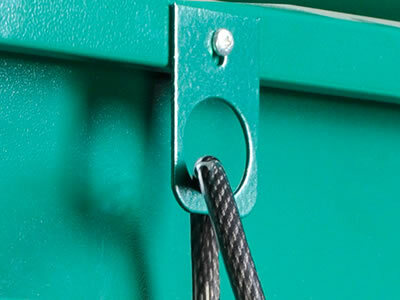 The Vangard is the most recent addition to the Secure metal sheds from Asgard. 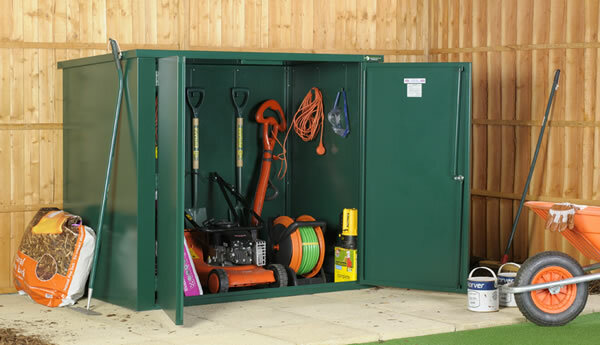 This Steel Garden Store is great value and a quality product, perfect for use against static caravans or for general garden storage. 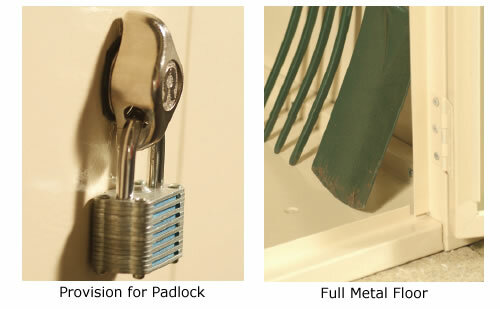 This secure store is available in a choice of four colours and features a metal lock which has the facility to be padlocked and a full metal floor as standard. The floor greatly improves the rigidity and security of the unit. It is made from the same quality galvanised steel as the rest of the Asgard range making it perfect for storing your valued garden items. The unit is of a modular design (consisting of six main pieces) making it an easy, self-assembly unit with step by step instructions included. A traditional heavy duty pent shed 3.05x2.44m, a very sturdy shed ideal for all your garden storage requirements. Square Hardwood Sand Pit ideal for younger children, measuring 1.2m in diameter for a large playing area.